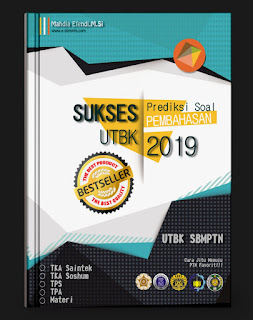 Soal UTBK TPS Bahasa Inggris dan Jawaban 2019/2020. 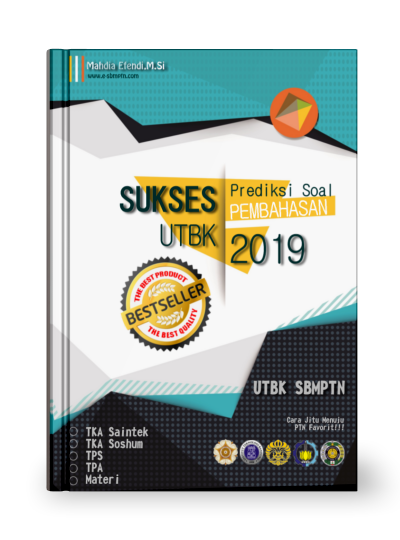 Berikut adalah contoh soal bahasa inggris Tes Potensi Skolastik (TPS) UTBK 2019/2020, yang bisa Adik-adik pelajari dalam menghadapi tes UTBK 2019/2020. Questions 1—4 are based on the following passage. Forests have the ability to regulate water systems, prevent erosion and flood, and maintain soil fertility. The ability of forests is inseparable from the existence of millions and even billions of trees in a forest area. Trees only store water for their own needs, and the land saves water. Billions of trees with their wide canopies will hold back rain. In this position, rain water does not directly hit the soil surface, but will fall slowly through the leaves and flow through the tree trunk. Then, the soil surface filled with tree trunks will produce quite a lot of litter originating from organic materials in the forms of leaf and dry twigs. Dramatically, littering is heading towards the decay process. The organic materials are collected on the soil surface. Litter blocks the water falling from the canopy so it does not directly hit the soil. Litter also functions as a place to live for millions of organisms (e.g. worms). This organism punctures the land as a home and place of life. This organism’s behavior causes the soil surface to become loose and porous. When rain drops from the canopy fall onto the litter, the water slowly flows to the soil surface. The loose and porous top layer of soil will absorb the water and then the water will be stored in the aquifer, the underground river. The soil surface in the forest has high capacity to absorb rainwater. As a result, most of the rainwater seeps into the soil; only a little becomes running water. Running water is the water that cannot be absorbed by the soil surface. This water will go down to a lower area. If running water exceeds the carrying capacity of the river, it can certainly cause flood. Most of the rainwater that falls in the forest area will be absorbed by the soil and stored in the aquifer. Furthermore, the water stored in the aquifer will come out regularly through springs. From these springs, water flows through rivers that are mostly found in the forest area. In addition, there is also underground water that comes out as a spring in the resident wells. 2. What is the main idea of the passage? A. Water guarantees millions of organisms to survive in forest areas. B. Land stores and releases water through various processes. C. Litter gradually flows water to the soil surface. D. Trees store water to fulfill human daily needs. 4. What most likely motivates the writer in writing the passage? A. There is an unresolved flood problem. B. People’s awareness towards reforestation is low. C. Not many people understand the benefits of water for forests. D. There is the fallacious concept that trees store large amount of water. E. The information about the importance of trees in storing water is not available.